Robin Taylor: guitars, keys, percussion etc. Lene Lud Gak Peder: voice etc. Jan Räeder (Fischer): voice, percussion etc. "Essay resembles no other music found on the market today." "Nevertheless, this is a very good album overall - at least composionally. Also, I didn`t forget that originality is one of the main trumps of any true artist..."
Robin Taylor: guitars, keys, bass, percussion etc. Robin Taylor: guitars, basses, keys, percussion etc. 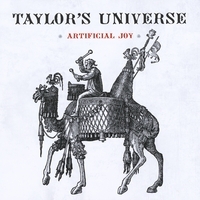 "The eponymous Taylor`s Universe debut is very close to the status of a complete masterpiece." Robin Taylor: guitars, basses, percussion, voice etc. "All those eager to listen to Progressive Rock that would be not only fresh and at all points, but also highly complex and interesting, you`ll just love Pork." Rasmus Grosell: drums, percussion etc. "While being a highly complex album where, in addition, almost everything is in the state of a constant development, Experimental Health is at the same time just marvelously rich in emotions, and most of the compositions on it have a quite dark, dramatic, and magical feel to them." "This album is as good as anything by Hatfield and the North or National Health..."
Robin Taylor: keys, guitars, basses, percussions, voice etc. "Heart Disc is a fantastically interesting album and is very close to the status of masterpiece." Robin Taylor: guitars, basses, keys, drums, voice etc. Jan Fischer: vocals, accoustic guitars, percussion, keys etc. "The Båndbix Tapes is undoubtedly one of the most innovative albums recorded in the 1980s. Furthermore, it`s a true and very interesting piece of art." Robin Taylor: processed instruments, electronics etc. "...Edge of Darkness is characterized by an enormous concentration. 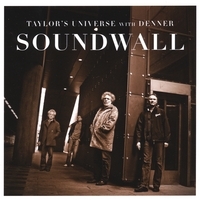 If sound manipulation gradually developed its own conventions, Taylor accepts none of them." Robin Taylor: drum programmings, keys, bass etc. Kim Menzer: trombone, saxophone etc. "The result is a beautiful musical landscape with lots of vitamins. It swings and rings so it`s a real pleasure." "Despite the fact that there is little between the music of Communio Musica and that of Robin Taylor (in a general sence), those who like Robin's such 'universal' albums as "Experimental Health" (1998), and especially "File Under Extreme" (2002), should like "Special Alloy" as well. Highly recommended!" Robin Taylor: guitars, keys, percussions etc. "A consistently momentous and vibrant album with lots of exciting details." "Robin Taylor is a master of the minimalist approach to instrumental progressive rock. Samplicity is an excellent model of where progressive rock and jazz should be heading in the new century." 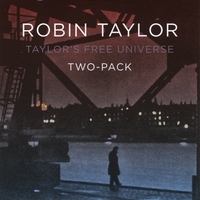 "As for Taylor`s solo creation as a whole, it`s just impossible to undervalue it, as well as the significance of Robin`s contributions to the development of progressive music. Real new music." Robin Taylor: guitar, electronics etc. "File Under Extreme is a pretty remarkable recording. Not since my first encounters with the music of Roger Trigaux` Present, Univers Zero and Art Zoyd have I heard such a distinctive and seamless blend of jazz, metallic progressive rock, free improv, and late 20th Century European classical music. This is definitely a band to watch." "In fact, the continous development of anything that is featured on this remarkable album is the main and the most exciting characteristic of it. Nevertheless, I can highly recommend this album only to those lovers of progressive music who are both very mature and adventurous." 5th best Danish jazz release of 2002! That's the rank TFU's CD "File Under Extreme" achieved this year as a jury of journalists had to find the best Danish jazz release among 136 productions. "Rather than reveling in past glories and tinkering with tried and true musical formulas, they have struck out on their own path. TFU`s spontaneous improvisations typically covers a lot of ground, and on their latest cd - On-Plugged in Elsinore - they leave practically no stone unturned." "...I believe you have guessed dear readers what I am going to say in closing. Yes, "On-Plugged in Elsinore" is a mind-blowing masterpiece, and I heartily recommend it to all those people who know to whom I appeal." "...Nevertheless, two strange compositions just aren`t able to mar the virtues of this album, and there are plenty of them here. No, I consider Robin Taylor one of the contemporary Titans of Prog not for nothing." 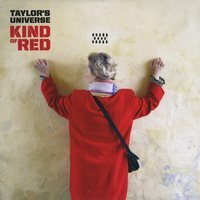 "Not resting on their laurels like many other contemporary bands, Taylor's Free Universe continues to progress and develop their principal musical direction, which is certainly Fifth Element with its really endless potential for exploration." Rock at its best should be about." compilation of unreleased materials as "X Position". "While many improvisational albums of this type tend to be failures, those by TFU and some others succeed better, at least from a creative standpoint. This is TFU's most accessible effort to date, though it's still more intricate than any of those by Robin Taylor solo or TU. Those liking "No Commercial Potential" and the like albums by Djam Karet might be much pleased with "Family Shot" as well. " 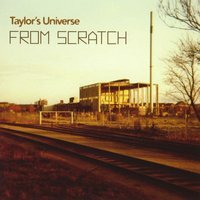 "With "Oyster's Apprentice", Taylor's Universe has made the furthest and probably the most intimate step towards the general progressive audience and its largest, 'symphonic', wing in particular. Most of the music is simply astonishing and is highly attractive. " "Still, at the heart of what's here is a superb live performance." "...Robin successfully continues moving far away from beaten musical roads on his new album too, the number of innovations having grown again. While not a masterpiece, "Deutsche Schule!" is an excellent album, at least compositionally.
" Sympho-prog lover? Accepting the genre in all the variety of its manifestations? 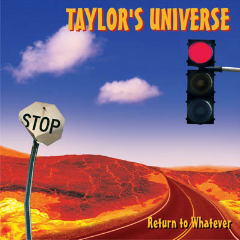 Then welcome to the new Taylor's Universe! I guarantee you no less than 40 minutes of pure pleasure. " "Though I'd been happier if the music on "Terra Nova" had been more complicated, I must admit this is a creation of genius. I am amazed with Taylor's ability to achieve true creative success in whatever direction he takes as a songwriter. " 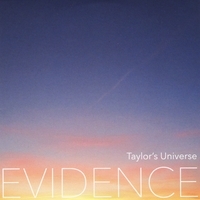 "Backed up by true craftsmen, all of whom joined the pantheon of living legends many years ago, Taylor proves again to be one of the most innovative composers and musicians on today’s progressive scene. " "A rare case when a relatively simple progressive music is so highly appealing, this album is filled with strong melodies and clever arrangements and would have certainly found its haven at a major label had it been released back in the ‘80s. " 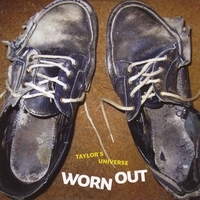 " A new album by a slightly rejuvenated Taylor's Universe is an event. As always, the compositions and the performance are as strong as the production (OMB) "